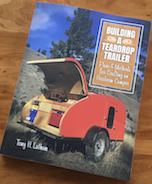 My wife is making curtains for our teardrop. It has manufactured doors. 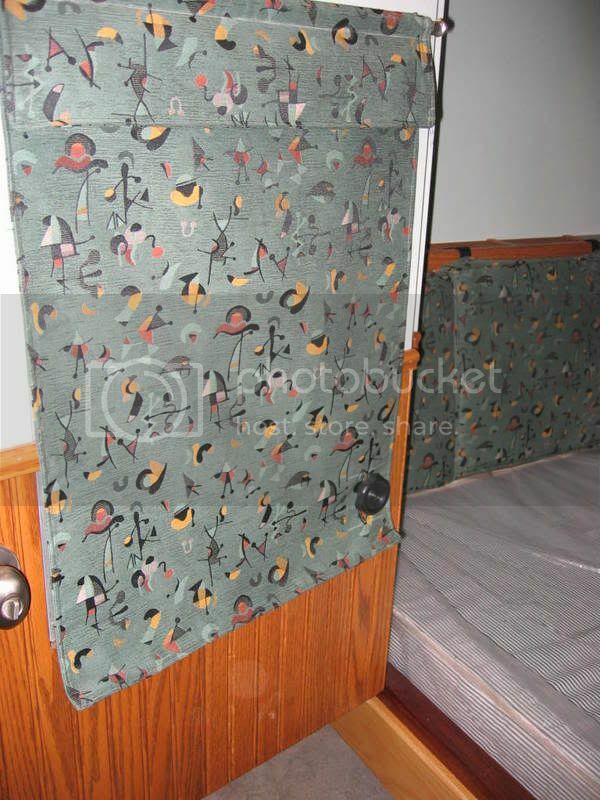 How does one attach curtains to that style of door w/o damaging them? I installed marine curtain tracks above the door frames. Works great. 2' will cover a Vintage Tech glass door. You have to buy the snap-on tape, carriers and end stops if I recall. I just got some elastic pushed through curtains and attached right above door to wall. Stretched taught and it worked perfect. 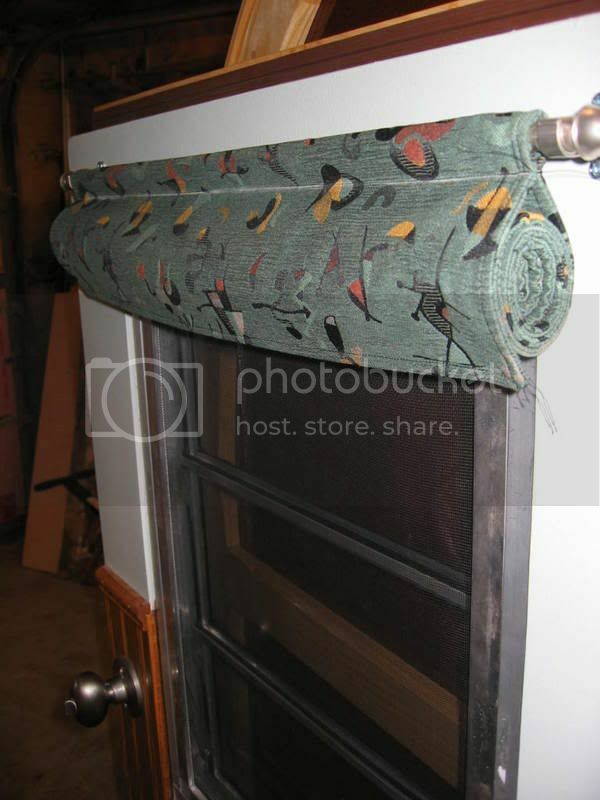 We used cheap adjustable width curtain rods hung on end brackets. I used a small rod that I shortened to just a few inches wider then the window. 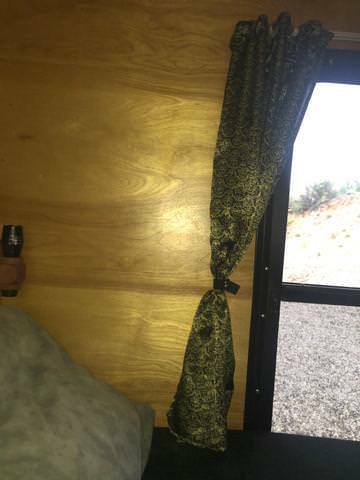 My wife sewed me a double sided curtain that rolls up and is secured with velcroe. 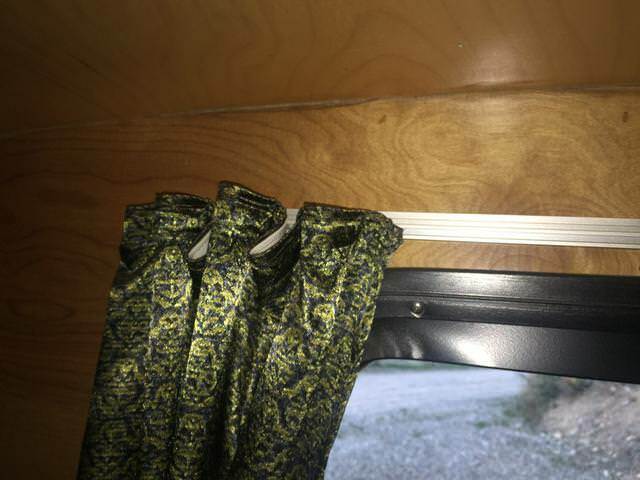 Works great, I do all my trailer curtains this way. 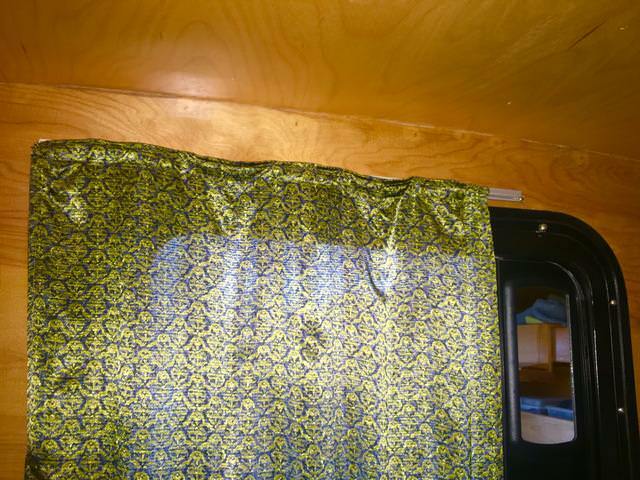 We made our curtains out of a cloth shower curtain with the metal grommet rings at the top. They hang from two cup hooks at the upper corners of the door and are opened by simply dropping one side and re-attaching to close.